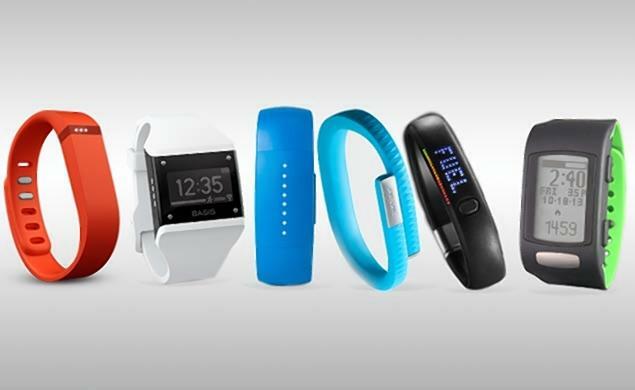 Fitness trackers are hot, but do they really help? NEW YORK (AP) _ Sales of fitness trackers are climbing, and the biggest maker of the gadgets, Fitbit, made a splashy debut on the stock market Thursday. But will the devices really help you get healthier? Experts agree that getting people to set goals _ and then reminding them of the goals _ absolutely works, and the wearable devices are built to do that. But evidence people get healthier when using fitness trackers is limited because they are new and studies of them have mostly been small or focused on specific groups of people. Strapped to your wrist, shoe, or clothes, fitness trackers can grab a lot of data: how many steps you’ve taken, where you’ve run, how many calories you’ve burned, how fast your heart is beating, how much oxygen you’ve got in your blood, and how well you’re sleeping. They can be synched with smartphones, apps and scales. They can quantify how active you are, and it’s satisfying to set a goal, reach it, and see if you can do better. That might be why fitness trackers are one of the first types of wearable technology to really take off. International Data Corp. says more than 11 million of the devices were sold in the first quarter of this year, triple sales from a year ago. Fitbit’s product sales doubled and revenue nearly tripled in 2014. Let’s say you’re determined to get more sleep. If you use the “Today I Will” feature on Jawbone’s Up tracker, you push a button that says “I’m in,” committing to your goal. The device will send you a reminder an hour before you’re supposed to go to bed. If you’re not meeting your sleep goals, it’ll remind you about that, too. “Millennials seem to be wired for this kind of data, this kind of feedback,” says Dr. Jason Mendoza, who is running small studies to see if the devices will help teenagers. In one of the few completed clinical trials of fitness trackers, Dr. Lisa Cadmus-Bertram found that overweight middle-aged and older women who used a Fitbit got about an hour of additional exercise a week. A group of women who were given pedometers didn’t improve. Cadmus-Bertram thinks that if the women had received more support they might have experienced even bigger gains. But the study involved a specific group of women _ they were around 60 years old, white and affluent. And they still didn’t reach the activity goals that experts recommend. The results were published in American Journal of Preventive Medicine this month. Cadmus-Bertram is preparing to launch additional studies on Garmin’s Vivofit tracker and plans to test the LED-based heartbeat sensors in some activity trackers to see if their measurements are accurate. She said it’s hard for researchers to keep up with the pace of innovation and new features to determine if they are really useful. But even if the trackers’ benefits prove hard to quantify, experts say they may do some real good because they could change the way people think about their own habits and their approach to health. Dr. Julie Wang, who has also studied the devices, said public health experts have been trying to get people to monitor their health for years, and by encouraging people to set and meet goals, fitness trackers might actually get them to do it. Mendoza and other researchers say the devices are probably most effective if they’re one piece of a health regimen, combined with other tools like coaching. Dr. Daniel Neides of the Cleveland Clinic says a simple Pebble+ fitness tracker helped him get in the best shape of his life. And Neides says he’s not alone: the clinic started offering the devices to employees in 2013 in a program intended to reduce its costs. Employees who met step-counting or activity goals could save about $2,000 a year in out-of-pocket health care spending. Neides said the program reduced medication costs, emergency room visits and hospitalizations, and sick days. He said the clinic had tried a similar program without fitness trackers, but it didn’t work very well.